I have never been able to figure out Rotor's color scheme. 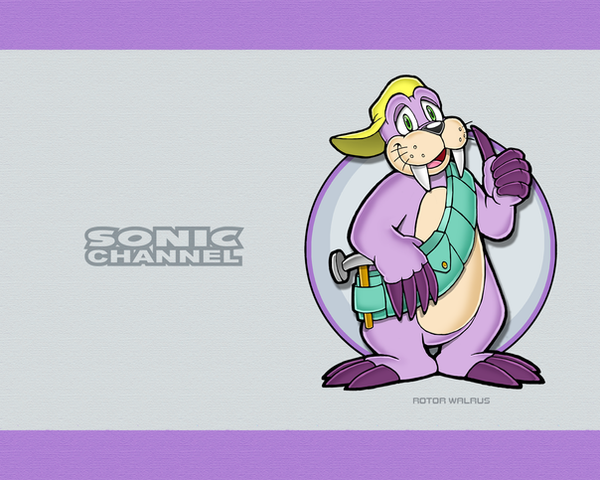 He has a dark gray color in the first season of Satam, but in the Archie comics he seems to have a pinkish/purple color. 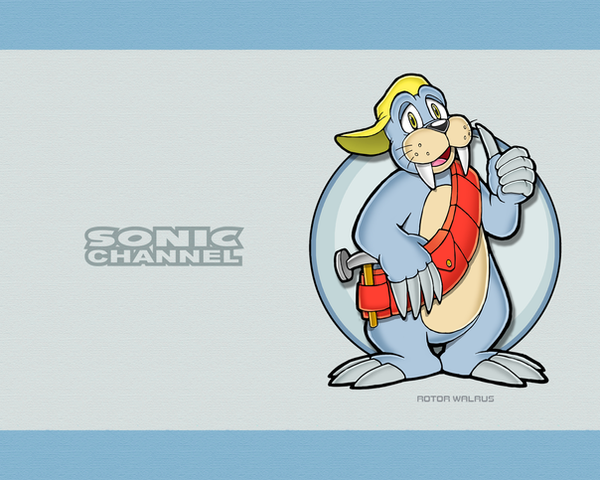 If someone was writing a fan fiction and needed to describe Rotor's color, which should it be: first season Satam or Archie? Which color scheme fits him better? That's a difficult choice. Though it depends on which continuity your fic is fallowing. If you're fallowing the show, most readers would visualize it like the show. If it's the comics, than they'd imagine it similar to the comics. But if it's entirely separate from either series, than you're pretty much free to describe him however you like. If I had to pick, I might choose the purple scheme. Rotor seems to be more fondly remembered in the Archie comics rather than the show. Plus, there already exists a blue-colored character, so it seems redundant having another with a similar scheme. The pilot episode has Rotor Purple. Personally I prefer the purple color scheme. So purple seems to be more popular in the Sonic community. I personally preferred his grayish blue design because it looked more realistic when he was with the other characters. I always thought his purple scheme made him stick out too much or made him look too bright. I can understand your point about the division between the Satam and Archie communities as they would recognize him based on his color in their franchise. So purple seems to be more popular in the Sonic community. I personally preferred his grayish blue design because it looked more realistic when he was with the other characters. I always thought his purple scheme made him stick out too much or made him look too bright. That's actually one of the key principles which character designers follow when creating a cast of characters. By assigning each character a different color scheme, they instinctively become more recognizable to the viewer. The same thing applies to shape, personality and role. If it's done poorly, the characters would be less memorable. Part of me can't help but wonder if Rotor's duller color scheme was partly the reason for him being forgotten by some. Sure, the grey/blue design might look more realistic, but this is a series that stars a blue hedgehog that can run at supersonic speeds. If the series was striving to be more realistic, they would've made Sonic brown and run at normal speeds - and that would've been boring. Had they stuck with the pilot designs, Sonic probably wouldn't have looked so out-of-place compared to the rest of the cast. Whenever I think of Rotor, I think of the purple design. The gray season 1 design fit better with SatAM's more muted pallet of colors, though, and the mouth looked less happy-goofy. Whenever I think of Rotor, I think of the purple design. I do too; I think it looks better. I must be in the minority for liking his season 1 look the best. Anyone notice that blue/gray Rotor looks super depressed? Depressed may be too strong a word. I'd say he looks dumpy. Or exhausted with life, but not to the point where he's ready to give up (just look how firm that thumbs-up is! This guy's ready for action!). Don't worry, I guess I am right along side ya! Good point. To be honest, I never thought his color scheme looked dull in comparison to the other freedom fighters, but maybe it's just me. I am siding with Frieza2000. Just because he isn't smiling doesn't mean he is depressed. If you have been hiding from Dr. Robotnik for years and never succeeded in freeing your family and friends, it can take its toll. I actually like this approach to Rotor: a freedom fighter who is becoming weary of the fight but continues to give his best to help his friends. Go Rotor!